Run time: 2 hr. 40 min. 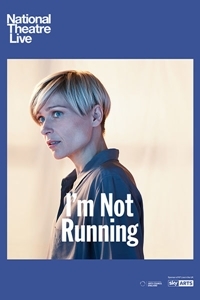 Synopsis: "I'm Not Running" is an explosive new play by David Hare, premiering at the National Theatre and broadcast live to cinemas. Pauline Gibson has spent her life as a doctor, the inspiring leader of a local health campaign. When she crosses paths with her old boyfriend, a stalwart loyalist in Labor Party politics, she's faced with an agonizing decision. What's involved in sacrificing your private life and your peace of mind for something more than a single issue? Does she dare?